We know the struggle of raising a toddler. You just got him over Blues Clues…so you think. (Don’t be surprised if in three months he starts singing the Mail Song out of nowhere.) Hopefully you don’t have to watch Micky Mouse’s Club House any more. He is over the weird cartoons that play…. Or not, right? He has discovered Thomas. It is simultaneously a cute show, and a weird 70s trip. The funky animation style of British TV was fun the first time you saw it as a kid, but now it’s just plain funky looking. What can you do though, your kid absolutely digs it. 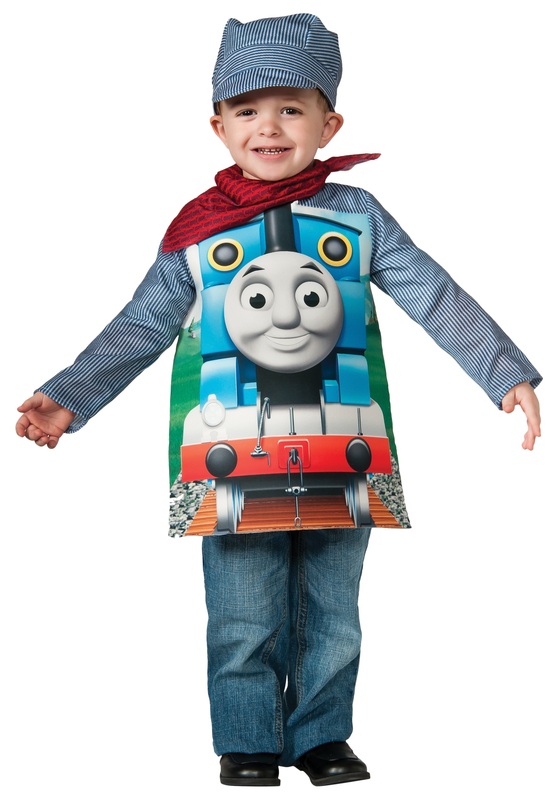 He runs around pretending to be Thomas, or Gordon the Big Engine. It seems like just yesterday he was looking for blue paw prints on everything in the house. If you can’t get him out of this phase (and trust us, he will only quit Thomas when he is ready), why not indulge in his play time. This Toddler Deluxe Thomas Costume will let him really become his favorite little engine. He will be getting the other little toy trains out of scrapes as he runs around choo-chooing to his hearts content. You can even get in on play time by becoming the conductor, instructing your little Thomas how to help his friends! And be thankful of the break you get from Blues Clues.